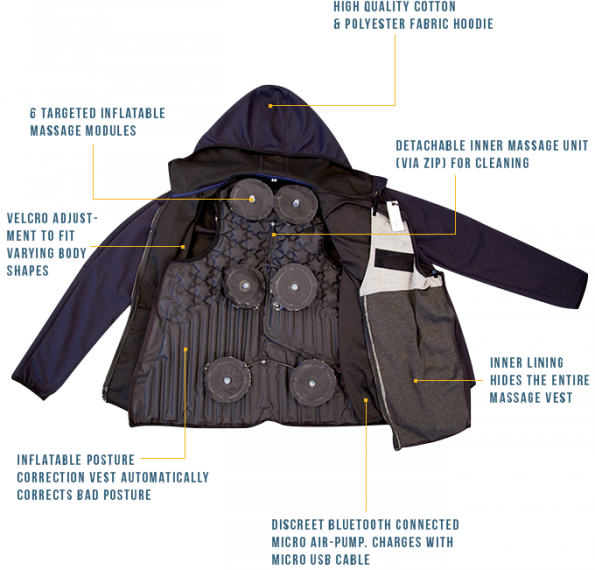 Meet AiraWear, the world’s first massaging hoodie. NOT the world’s first messaging hoodie as I had originally read and thought to myself “That doesn’t make sense,” when, in reality, I am the one who does not make sense. 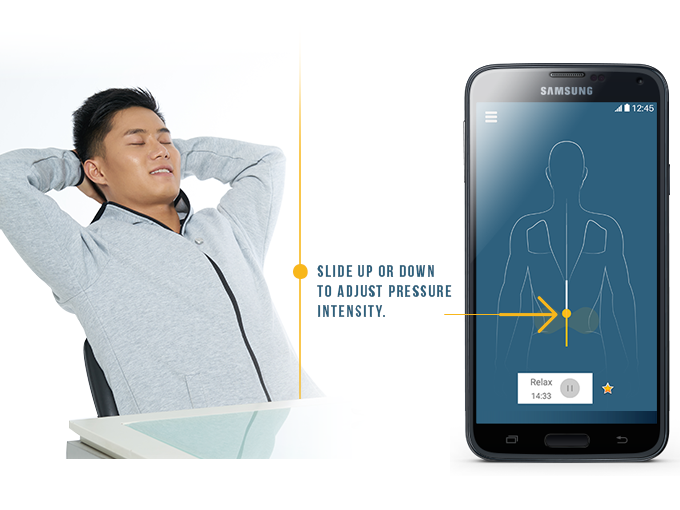 The hoodie’s equipped with sensors that use acupressure technology to pinpoint tension spots and correct your posture. Very cool. Head on over to Kickstarter HERE and contribute upwards of $150 to snag one for yourself. Or you know, stick with wearing a regular hoodie and commit to having a janky back. YOUR CALL. Thanks to Lars for sending in the tip! He admitted in his email that he has bad posture. Me too, my pal. Meeee toooo. EVA Is A Bra That Detects Breast Cancer Early And Effectively!